Welcome to The Village Wholefood Store, set in one of Enfield’s treasured Conservation Areas in North London. Unlike many of chains of Health Food Stores, as our name implies, we are a Health and Whole Food store as well as a Village Shop. You can rest assured that with us “each and every customer matters!” We try to serve our customers by providing what everyone wants from a corner shop as well as offering the chance for our customers to do their bit for their own health, animal welfare, the planet’s sustainable development, justice and equity by offering organic, fair trade, environmentally friendly and special dietary products; from organic/free range eggs to bio-degradable bin bags. We regularly get told that we are cheaper than other Health Food Stores and Supermarkets. Our guidelines are recommended retail prices on all relevant products. Unlike some other chains of health food stores we offer regular real value for money on one item of two which regularly beats our compeitors’ "special offers". Any discounted prices we offer are true special offers. Our opening hours are: Monday to Saturday 09.00 am to 05.30 pm. Many of our customers have told us they prefer to visit our health food store in person so we don’t yet offer the chance to buy online but we can take your orders by card over the telephone. If we don’t have it we will try and get it!! Just drop in or call 020 8366 5108. We are located in Enfield, North London, near Forty Hall and Bulls Cross – close to the M25 and A10. The Village Wholefood Store has gone through many changes over many years. It existed as a health food store together with the butcher’s, post office, hairdressers, village store and the Goat Pub which are all now long gone. But together with the newsagents, J & A News, next door for newspapers, top ups and lottery tickets, you can get many of your every day basics and special dietary needs all in one place. We are a short walk from Forty Hall, Enfield’s “Jewel in the Crown”, a Grade 1 listed building which has recently completed a 3 million pound refurbishment and had its official opening on Saturday 30th June 2012. The Hall is located within its historical gardens and a beautiful country park with lakes and its own brook. From the Hall there is a choice of walks, around Enfield or continuing the London Loop. Why not combine a day out with a visit to The Village Wholefood Store? You can also pick up your “plants’” desire as well at Clock House Nursery, one of Enfield’s best and, some say, most economical garden centres just up the hill. Parking: Easy and free, just outside the shop. SPECIAL ORDERS – just ask! We pride ourselves on personal service and will try to respond to our customers’ requests through research and special orders. Ethos: We at the Village Wholefood Store listen to our customers and are aware of how many of them care about how important it is for us all to look after our own health, recycle and use natural, fair trade, organic and environmentally friendly products. We will frequently review our operational procedures and our products to ensure we continue to improve along this path. Vilage Wholefood Store in Enfield, a health food store supplying organic foods, vegan food, dietary & food supplements & home brewing equipment in Enfield. Village Wholefood Store near Oakwood, a health food store supplying organic foods, vegan food, dietary & food supplements & home brewing equipment near Oakwood. Village Wholefood Store near Southgate, a health food store supplying organic foods, vegan food, dietary & food supplements & home brewing equipment near Southgate. Village Wholefood Store near Waltham Cross, a health food store supplying organic foods, vegan food, dietary & food supplements & home brewing equipment near Waltham Cross. 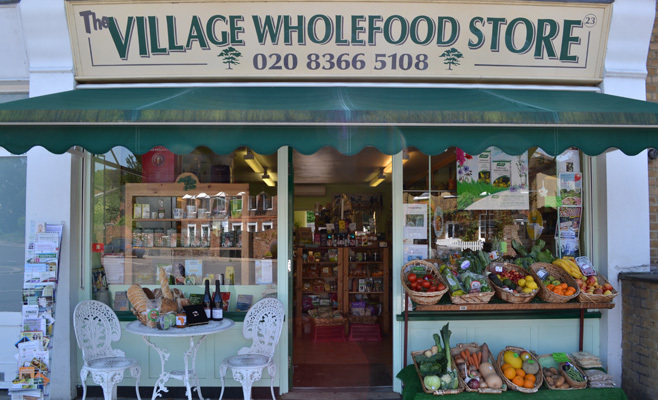 Village Wholefood Store near Winchmore Hill, a health food store supplying organic foods, vegan food, dietary & food supplements & home brewing equipment near Winchmore Hill. 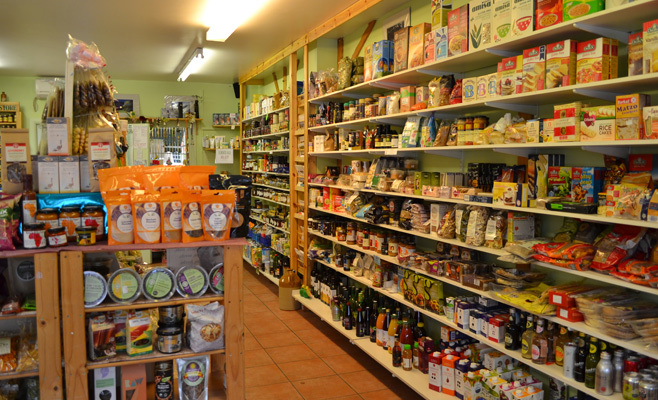 Village Wholefood Store near Barnet, a health food store supplying organic foods, vegan food, dietary & food supplements & home brewing equipment near Barnet.